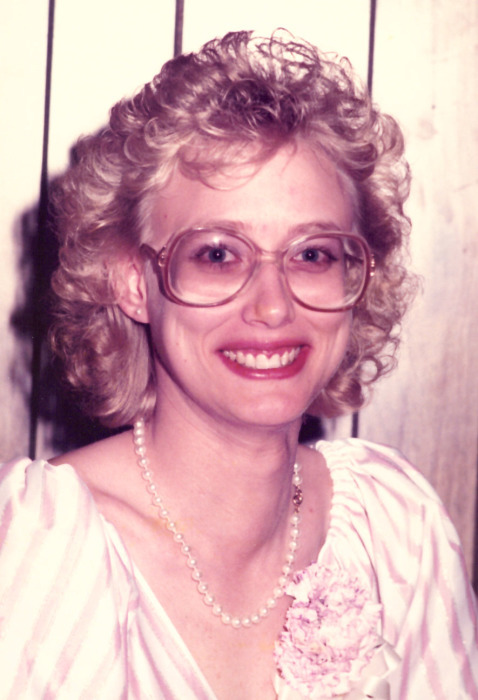 Obituary for Joanne (Viken) Struebing | Hanson & Dahl Funeral Home, Inc.
Joanne Marie Struebing, 55, passed away on March 29, 2018 at Davis Hospice Center in Cheyenne, Wyoming. Memorial services will be held Friday, April 20, 2018 at 1:30 PM at Our Saviour’s Lutheran Church of Baxter. Vicar Matt Danielson will officiate and interment will be in the church cemetery. Visitation will be held at the church one hour prior to services on Friday. Joanne Marie (Viken) Struebing was born on September 5, 1962 in Montevideo, MN to Norman and Mary Lou (Charlet) Viken. She was baptized and confirmed at Our Saviour’s Lutheran Church of Baxter. She grew up in the Boyd area, where she attended, and graduated from Dawson-Boyd High School in 1980. Following high school, she briefly attended Willmar Technical College. In 1981 she married Dwain Bunch and lived in England, Rapid City, SD, and Cheyenne, WY. On November 24, 1990 Joanne married Dave Struebing, they had one son. Joanne worked for Wyoming Department of corrections and retired September, 2017 as Executive Secretary for Wyoming Parole and Probation Department after 27 years. Joanne was a longtime member of Our Saviour’s Lutheran Church of Baxter. She was a loving daughter, sister, wife, mother, and grandmother and enjoyed spending time with her family. She loved to fish, hunt, knit, crochet, garden, was an avid bird watcher, and Vikings fan. She was very proud of her Norwegian heritage. Family will remember Joanne as a strong person that fought a valiant thirteen-year battle with Lupus. Joanne is survived by her husband, Dave of Cheyenne, WY; son, Hunter (Ashley Hayes) of Cheyenne, WY; grandson, Jesse Dean Struebing born March 28, 2018; parents, Norman and Mary Lou Viken of Boyd, MN; brother, Gary (Karen Miller) of Lancaster, OH; niece, Natalie Marie; as well as extended family, friends, step children and grandchildren. She was preceded in death by her grandparents; and several aunts and uncles. In lieu of flowers, donations may be made to donors choice.